If the adjuster from your own insurance company asks for a recorded statement, you must either comply or risk denial of your claim. This is because you, as the insured, are contractually obligated to cooperate with your insurance company. While you are required to comply with your insurer’s request for a recorded statement, you should only do so under the guidance of an experienced personal injury attorney. The other driver’s insurance company will likely contact you and request a recorded statement. However, you are under no obligation to provide a statement to someone else’s insurer—and you shouldn’t. Insurance adjusters are experts at asking leading questions, and they will attempt to make you admit that the collision was partly your fault. If you say anything that can be interpreted as an admission of guilt, the other driver’s insurance company will likely use your statement to reduce or deny your claim. 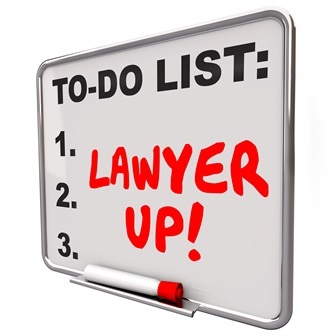 Instead, you should have an experienced personal injury attorney speak with the insurer on your behalf. If you’ve been injured in a vehicle collision, a personal injury attorney can help you avoid making mistakes that jeopardize your claim. To learn more, contact the Injury & Disability Law Center by clicking the Live Chat button on this page. Do I have to go to court for my car accident case? 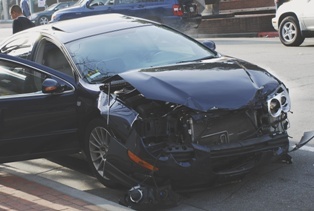 The vast majority of vehicle accident cases are successfully settled out of court. However, a competent attorney will be prepared to go to trial if doing so is in a client’s best interest. Insurance companies normally want to settle. Vehicle collision defendants rarely pay judgements out of their own pockets. Instead, their insurance company is typically responsible for resolving the claim, and they generally want to do so as soon as possible. Both parties wish to avoid the unpredictability of a trial. The outcome of a trial is never certain. When a vehicle accident case goes to court, the plaintiff risks receiving nothing, and the defendant risks having to pay a huge judgement. While a settlement may mean that neither party gets everything they want, it also allows both the plaintiff and the defendant to control their risks. The plaintiff wishes to receive compensation as soon as possible. Due to the time value of money, a payment received today is more valuable than the same payment received a year from now. Additionally, vehicle accident victims often have bills piling up due to extensive medical expenses and loss of income. Settling out of court allows a plaintiff to receive payment relatively quickly, so bills can get paid and life can return to normal. Both parties wish to minimize the cost of litigation. Litigation is expensive, particularly when a case drags on for years. Both sides must endure the costs associated with procuring evidence, hiring expert witnesses, and taking depositions, but a settlement minimizes these expenses. While it is generally in a plaintiff’s best interest to settle a vehicle accident case out of court, the particular circumstances of your claim will determine the best course of action. We are always prepared to go to trial when necessary, in order to ensure that you receive the compensation you deserve. To learn more, contact the Injury & Disability Law Center by clicking the Live Chat button on this page. Do I Need an Attorney to Represent Me in My Car Accident Claim? What is drugged driving in New Mexico? Everyone knows that drunk driving is dangerous, but drugged driving accidents can be just as devastating. 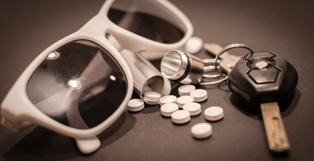 According to a study published by the Governors Highway Safety Administration, drugged driving collisions are also more common than drunk driving accidents. In fact, 43 percent of drivers with known drug test results tested positive in 2016, while 38 percent of motorists with known alcohol test results tested positive during that same year. 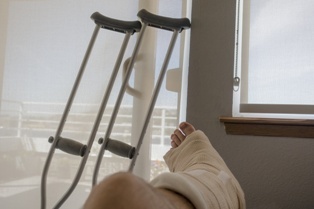 Injury victims frequently cope with high medical bills, loss of income, and long recovery periods. In addition, they sometimes endure pain and suffering. Pain and suffering is a legal term that encompasses the physical and emotional pain stemming from accidental injuries. A personal injury claim has two primary types of possible compensation, special damages and general damages. Special damages include economic losses, such as property damage, medical bills, and loss of income, while general damages include pain and suffering. Special damages are typically relatively easy to value, since they are based on bills for vehicle repairs and medical expenses. However, calculating general damages, such as pain and suffering, is far more challenging. Multiplier method. The multiplier method is the most frequently used approach for calculating pain and suffering. An insurance company totals all of an accident victim’s special damages and multiplies them by a number of the insurer’s choosing. This number, called a multiplier, depends on many factors that may include: the extent of a victim’s injuries, the prospects for a full recovery, the impact of a victim’s injuries on his life, and the degree of the other party’s fault for the accident. Per diem method. The per diem method requires payment of a fixed dollar amount, or daily rate, for every day an injury victim must live with the pain caused by an accident. While this daily rate may be calculated using a variety of methods, the victim’s actual, daily earnings are frequently used. If you’ve been injured in a vehicle collision, or any other type of accident that was someone else’s fault, you deserve compensation for the physical and emotional pain you’ve suffered. An experienced personal injury attorney can prove the extent of your injuries and demand that you receive fair compensation. To learn more, contact us today by clicking the Live Chat button on this page. Do I Need to Visit the Doctor After a Car Accident, Even If I’m Not Hurt? 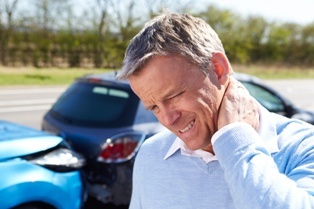 If you weren’t hurt in your vehicle accident, you likely don’t need to hire an attorney. Even if you were hurt, if your doctor has confirmed that your injuries are minimal, you can probably handle the claim on your own. However, if you’ve suffered any serious injuries or lost a significant amount of income due to missed work, you should discuss your situation with a car accident lawyer. Personal injury attorneys are typically compensated under a contingency fee arrangement. Some injury victims are hesitant to pursue litigation, since they can’t cover the cost of legal services upfront. Contingency fees allow injury victims to pursue justice, and receive the compensation they need and deserve. ● Lower risks. When a client enters into an hourly rate agreement with his attorney, he may face substantial legal bills regardless of the outcome of his case. With contingency fees, clients only pay if and when their attorney succeeds in securing their compensation. ● A better attorney-client relationship. When attorneys are paid on a contingency basis, their compensation is tied directly to the outcome of the case. This can make for a great partnership between the client and his attorney, since the lawyer has a strong financial incentive to reach a favorable settlement in a timely manner. ● The attorney has confidence in his client’s case. Since their own compensation is tied directly to the outcome, contingency fee attorneys are unlikely to accept cases they don’t believe are winnable. If an attorney is willing to risk losing out on legal fees based upon the outcome of a case, that case probably has a lot of merit. ● Representation against companies with deep pockets. Due to contingency fees, injury victims don’t have to be wealthy in order to secure quality legal representation. Huge corporations and insurance companies can easily afford attorneys to represent them, but few individuals can pay an experienced attorney hundreds of dollars per hour to pursue litigation. If you’ve been injured in a vehicle accident, you need experienced representation by a contingency fee attorney. Our consultations are confidential, free, and there is no obligation. To learn more, contact the Injury & Disability Law Center by using the form on this page. 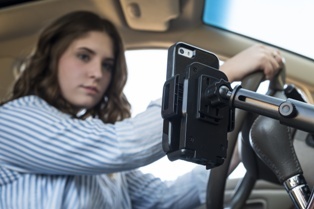 There really is no such thing as a most dangerous form of distracted driving, since anything that takes a driver’s attention away from the road is dangerous. According to the National Highway Traffic Safety Administration, 3,450 people were killed in distracted driving accidents during 2016 alone. I used my personal health insurance for treatment following an accident caused by another driver. I settled with that driver's insurance, and now my health insurer id demanding to be reimbursed. Do I have to pay them? When your health insurer pays for your medical expenses for treatment caused by someone else’s negligence, and you ultimately recover monetary damages from that negligent person, your health insurer has a right to be reimbursed (these are called rights of subrogation) from you out of the accident money you received. Here is the reasoning - Your settlement money from the negligent driver’s insurance included payment to you for medical bills resulting from your treatment. But your health insurer also paid you (by paying the health care provider) for those same medical bills. To allow you to be paid for the medical bills, while also having your own health insurance pay for those same bills, is the legal equivalent of “double dipping”. Instead, your health insurer has a legal right of subrogation (i.e. right of reimbursement) that requires you to reimburse them in the amount they paid on your behalf for treatment resulting from the accident. Keep in mind, if you do not ultimately make a recovery from the responsible driver, either because they didn’t carry insurance, or for any other reason, you would not be required to reimburse your health insurer anything. Your health insurance company’s subrogation rights are triggered only upon your receipt of monetary damages from the negligent party. This answer provides a simple explanation, but there are often more complex factors involving subrogation rights, including the amount that must be reimbursed. For this reason, we recommend seeking legal counsel to help ensure all of your legal rights and remedies are considered when dealing with issues of reimbursement. Call us at 575-208-1630 for a free consultation to see how we can help you. If given the option, you should insist on using your own personal health insurance for all of your medical treatment, even if the accident was caused by another person. After an accident, you should seek immediate medical attention. The most important thing is to get the treatment you need, and do not let issues of insurance and payment prevent you from getting the proper treatment. Your safety and health will always be top priority! Understandably, many people are hesitant to use their own health insurance to pay since their injuries were caused by someone else—shouldn’t the responsible party’s insurance have to pay? The answer is yes, they should! But, determining who the “responsible” party is may not be immediately clear and often times can only be determined after a lengthy investigation. Many accidents have disputed liability (i.e. who was at fault). There are also other factors that must be determined, such as whether the other driver carried insurance. Since medical treatment is typically required immediately after an accident, you do not want to delay medical treatment while the legal issues of the accident are sorted out. This is where New Mexico law provides the appropriate remedy. New Mexico law provides reimbursement rights to your health insurer for benefits paid out on your behalf that were caused by another person’s negligence. 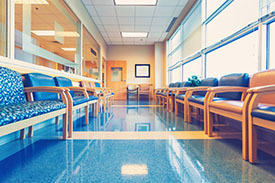 That means if your health insurer pays for your medical expenses for treatment caused by someone else’s negligence, and you ultimately recover monetary damages from that negligent person, your health insurer has a right to be reimbursed (these are called rights of subrogation) from you out of the accident money you received. You are driving and a negligent driver runs a stop sign and hits you. An ambulance arrives and transports you to the hospital. You remember reading something from The Injury and Disability Law Center that said to use your personal health insurance if you are in an accident. The hospital bills your personal health insurance for payment for your treatment. It is later determined that the other driver was at fault for causing the accident, and carried auto insurance. The negligent driver’s insurance company then pays you for your bodily injury damages from the accident, which include your medical bills. Your receipt of payment from the responsible party’s insurance for your damages triggers the legal right of your health insurance company to be reimbursed what they paid out for your treatment caused by the negligent driver. As you can see in the example, the law ultimately is designed to place the financial burden on the wrongdoer. In this example, the negligent driver. Even though your health insurance paid out initially, the wrongdoer paid for those damages through a settlement with you, and you are then able (and required) to pay your health insurer back. This process ensures there is no improper shifting of the financial burden unfairly to your health insurer, while at the same time allowing you to receive the timely medical treatment you need.